NASHVILLE – Special Agents from the Tennessee Bureau of Investigation have obtained indictments for a former jailer of the Humphreys County Sheriff’s Office who stands accused of misconduct related to inmates. In June, at the request of 23rd District Attorney General Ray Crouch, TBI Agents began investigating Chrystal Michelle Krasinski (DOB 4-15-77). During the course of the investigation, Agents developed information that, on occasions in March and April of this year, while working at the Humphreys County Jail, Krasinski brought several cellular phones into the jail for inmates and, on at least one occasion, had inappropriate sexual contact with an inmate while on duty. The county terminated Krasinski’s employment when the allegations surfaced. 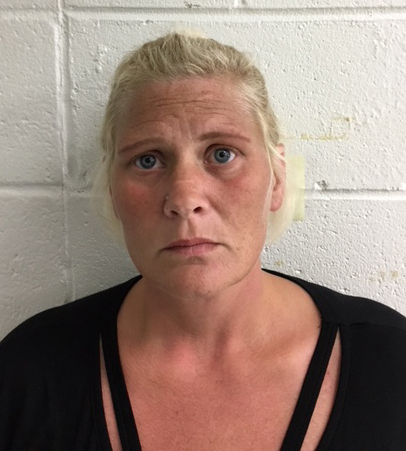 On Monday, the Humphreys County Grand Jury returned indictments, charging the New Johnsonville woman with one count of Official Misconduct, one count of Sexual Contact with Inmates, and two counts of Introduction of Contraband into a Penal Facility. Authorities arrested her today and booked her into the Humphreys County Jail on $15,000 bond.